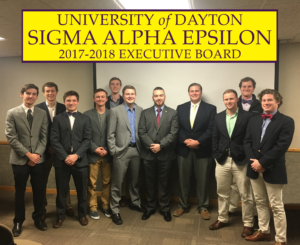 Meet our Newly Elected 2017-2018 Executive Board! 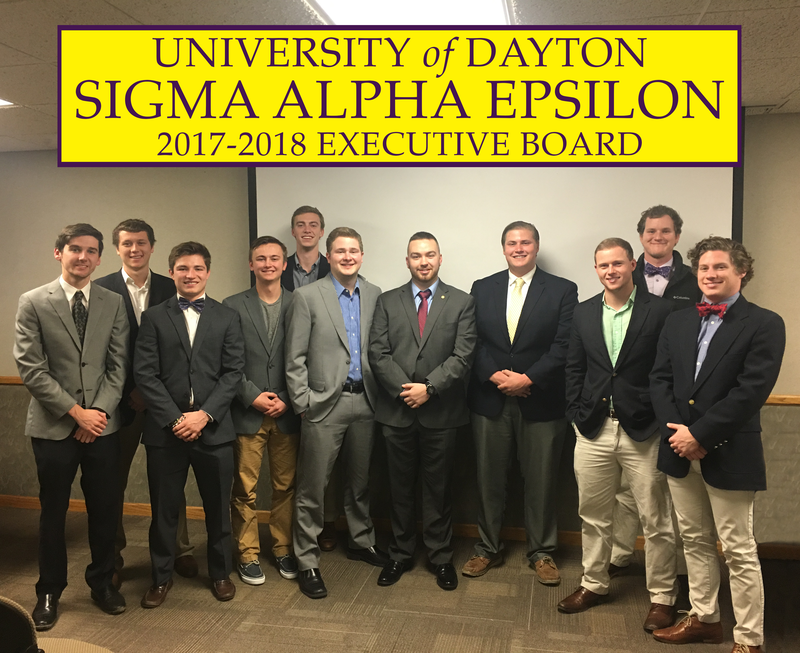 This group of 11 gentlemen will be tasked with running our Executive board for the 2017-2018 school year. Having been voted and elected by the rest of the fraternity, these brothers were found to be the best fit to serve their respective roles, as they are well liked amongst their peers, represent the fraternity proudly and boast prior experience and eagerness to take this fraternity to soaring new heights. With a semester to learn the intricacies of their newly elected positions, the new board will take what they learned, and put it into action for the following the year. These newly elected board members will then be tasked with things such as communicating with the Inter-Fraternity-Council, setting up philanthropy events as well as formals and gatherings between other fraternities and sororities, recruiting and teaching the new members initiated every semester, and assuring the safety of each of the brothers on a week-to-week basis. From the rest of the brothers of Sigma Alpha Epsilon, congratulations and Phi Alpha!